Summer can be the time of planned – or unexpected – changes in leadership. These can impact fundraising, contribute to confusion and/or, serve as a catalyst for positive change. Every situation is different. The change could be at the executive level: your president, CEO or executive director resigns, retires, or is asked to leave. It could be at the board level: you have high turnover in board positions, and the leadership, commitment and relationships need to be rebuilt. Or it could be a change within your staff: your key development person moves to another organization. These changes will impact your fundraising. The green light. Consider moving forward with your fundraising if the following are in place. You have fundraising leadership and a plan. Your fundraising plan can be implemented even with the loss of executive leadership, board leadership, or a key staff person. You have cross trained staff who can continue the work of the person who is leaving. Well documented processes, shared information, and cross training all help to reduce challenges that accompany change. Your supporters and donors are confident you can continue during the transition. Talk with your supporters and donors, about the changes your organization is going through share information about how the organization is handling it. Listen to their guidance regarding how and when to proceed with fundraising. The mission and goals of the project are urgent and understood by both the organization and the community. Sometimes you have to keep moving forward regardless of changes. Your community depends on your organization, they are committed, and they know you cannot stop fundraising because of the urgency of your work. This can be the case in disaster relief efforts, completion of a multi-year project, meeting a matching grant deadline, or general operating fundraising that is required to ensure revenue generating activities can continue. Top leadership change is seen as a positive by your community and donors. Sometimes top leaders leave quietly and for personal reasons. Other times controversy has been swirling, and the departure will calm the storm. In some cases, the top leader was never respected, and people are ready for a change. Care and consideration need to be given to fundraising during leadership transitions. In most cases you will have to modify prior plans. Inventory your organization’s fundraising strengths and challenges so you can make the best decision. 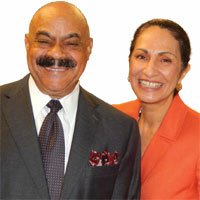 Mel and Pearl Shaw want you to successfully navigate change. Call us at (901) 522-8727 to explore how we can support your fundraising.